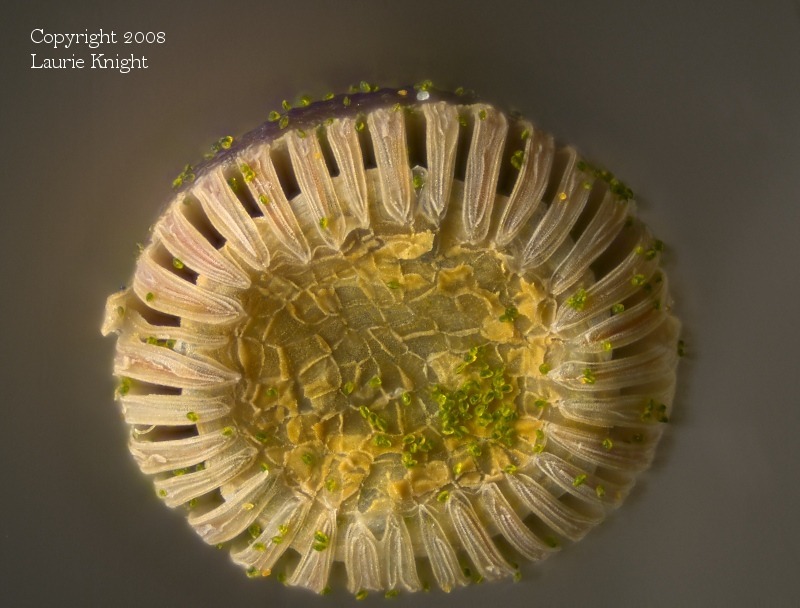 I'd need to see a wider view, including the leaves, to be more certain what this moss capsule belongs to. However, the short peristome teeth joined to a central "epiphragm" tells me this is one of the Polytrichales, possibly Pogonatum aloides. Fantastic detail!